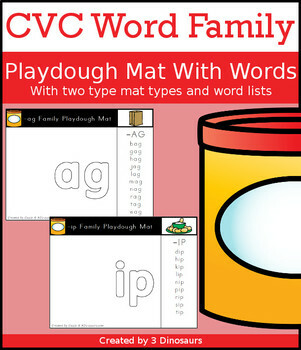 The CVC Word Family Playdough Mats with Word Lists has 36 different word family words to build with playdough mat and word lists. The mats are a great hands-on literacy center. 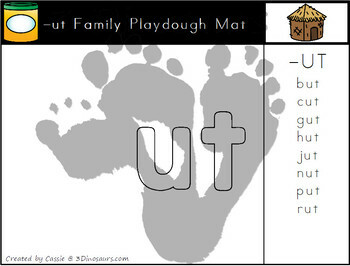 Each word has a mat has a CVC word ending and a word list for them to make the words. These come in color and a simple black and white version. There is a usable sample you can check out.